June 20, 2017, 12:22 UTC+3 LE BOURGET. June 20. LE BOURGET. June 20. /TASS/. 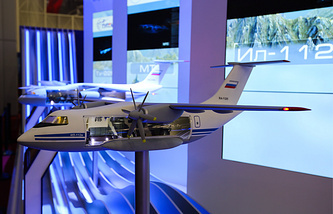 Russia’s Ilyushin Aircraft Company is developing a new military transport plane with a lifting capacity of 20 tonnes, Ilyushin Chief Designer Nikolai Talikov told TASS on Tuesday. "Now we have just formed a package for the medium transport plane. This is a 20-tonne plane, which by its cross-section dimensions is similar to the Il-76. We have already launched work on this plane. The technical assignment has been formulated and actually approved and then all the stages will follow," the chief designer said. The new plane’s name may change but so far it is known as the Il-214, the chief designer said. "Now it will be, perhaps, named somewhat differently. 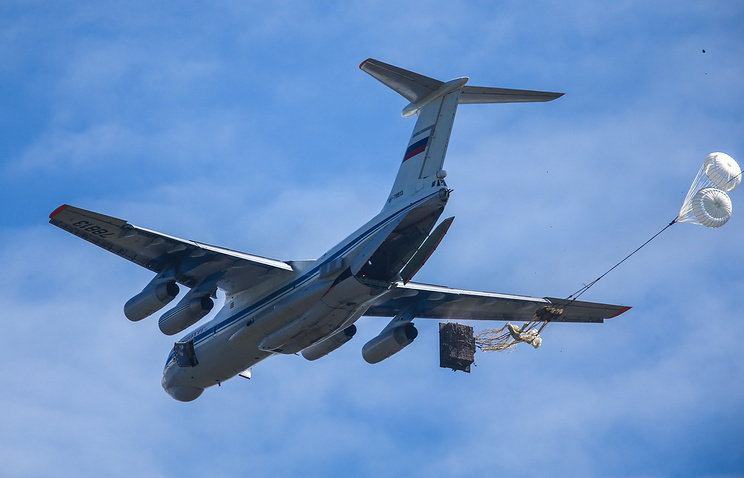 This is a twine-engine plane for medium tasks, shorter than the Il-76," he noted. The Ilyushin Aircraft Company is also offering Russia’s Defense Ministry the Il-76MF version. This is the modification of the classical Il-76 plane extended by 6.6 meters, he added. Speaking about the perspective heavy plane (the Il-106), the chief designer said that its characteristics "were agreed with the military but the issue of financing has yet to be resolved." As was reported earlier, the Ilyushin Aircraft Company resumed on its own intuitive the development of the Il-214 medium-class military transport plane, which had been earlier developed jointly with India as part of the MTA (Medium Transport Aircraft) project. The reasons for the suspension of the Russian-Indian project were not officially reported.